Centrally located in Washington, Missouri, Texwrap is the leader in the design and manufacture of fully automatic shrink wrapping and shrink bundling systems. 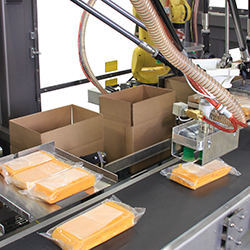 Known as the industry innovator, we hold patents on some of the most significant breakthrough technologies in the shrink-wrapping business. 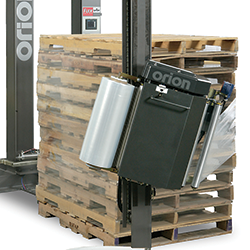 Our full line of standard wrappers includes L-bar sealers, intermittent motion side sealers, continuous motion side sealers and vertical wrappers, as well as shrink tunnels. We also specialize in designing and building custom systems to fit a wide variety of applications. 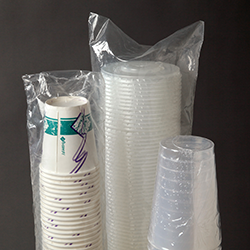 With the recent addition of the Tekkra line of shrink bundlers including intermittent motion, continuous motion and custom bundling systems, we now offer a complete array of shrink packaging solutions whether the application is wrapping for retail display or simply unitizing. 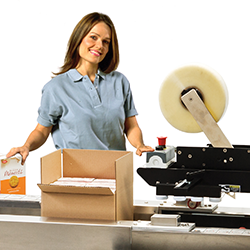 Texwrap partners with a nationwide network of highly-trained packaging distributors in order to better serve its customers. This partnership provides a support structure to insure the best machinery/application fit, a smooth startup, reliable local service, and long-term return on the machinery investment. Our mission is to provide our customers with the latest technological advances while maintaining our commitment to a user-friendly machine that is efficient and easy to maintain. The quality construction, flexibility, easy changeover and low maintenance features of our systems give Texwrap and Tekkra machinery the lowest Total Cost of Ownership available in the market today. Our Washington facility is also the home of Stork Fabricators one of the regions most complete metal fabricating facilities. In addition to producing parts for Texwrap and Tekkra machinery, Stork also supplies metal fabrications for other industrial, commercial, military, and aerospace applications.